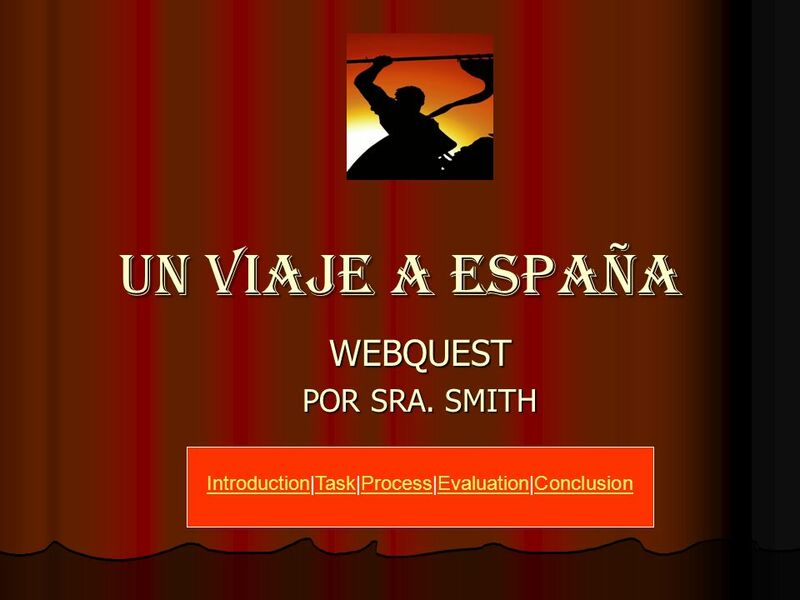 UN VIAJE A ESPAñA WEBQUEST POR SRA. SMITH IntroductionIntroduction|Task|Process|Evaluation|ConclusionTaskProcessEvaluationConclusion. 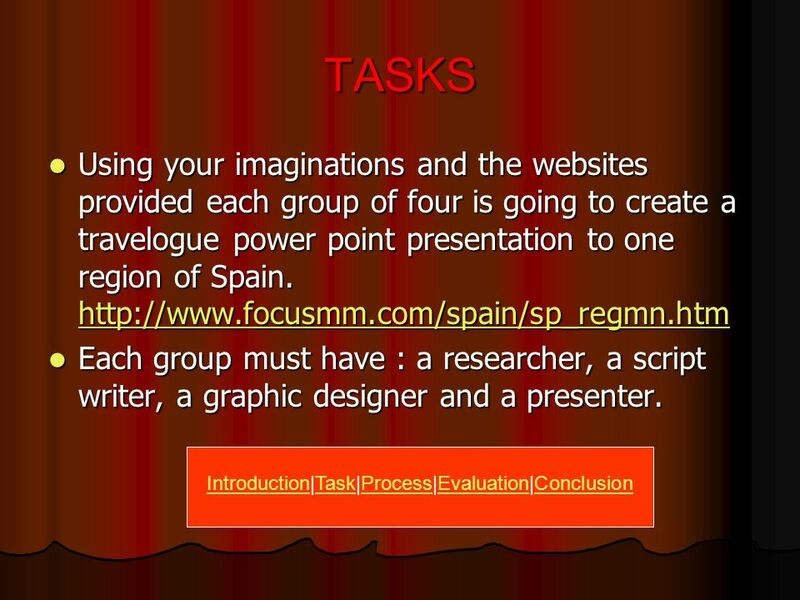 Descargar ppt "UN VIAJE A ESPAñA WEBQUEST POR SRA. 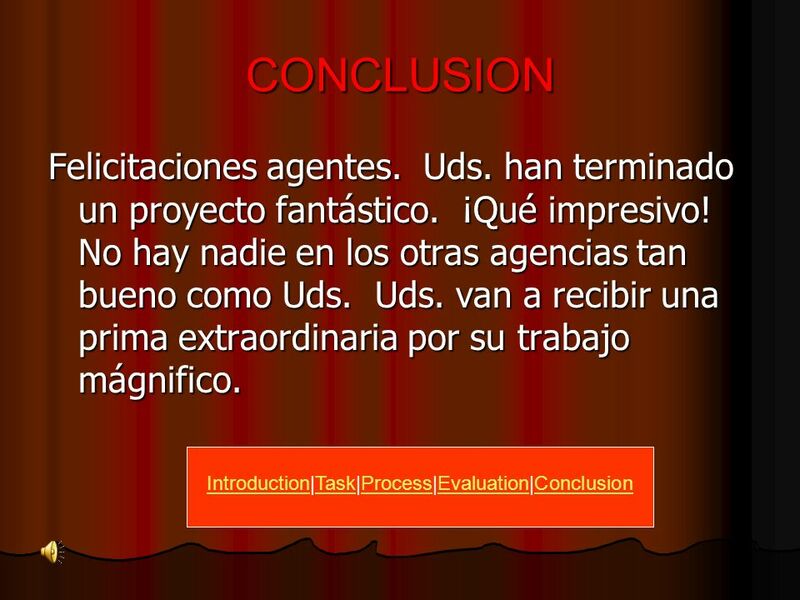 SMITH IntroductionIntroduction|Task|Process|Evaluation|ConclusionTaskProcessEvaluationConclusion." Para Empezar Hoy es martes el ocho de enero ¿Qué hay en tu cuarto? Write 3 sentences about your room. Escriba tres oraciones sobre tu dormitorio. Use Hay. El 6 de septiembremartes Calentamiento El objetivo de hoy Los estudiantes van a poder preguntar Como te llamas? Y contestar la pregunta usando vocabulario. GUSTAR PRÁCTICA CON GUSTAR. 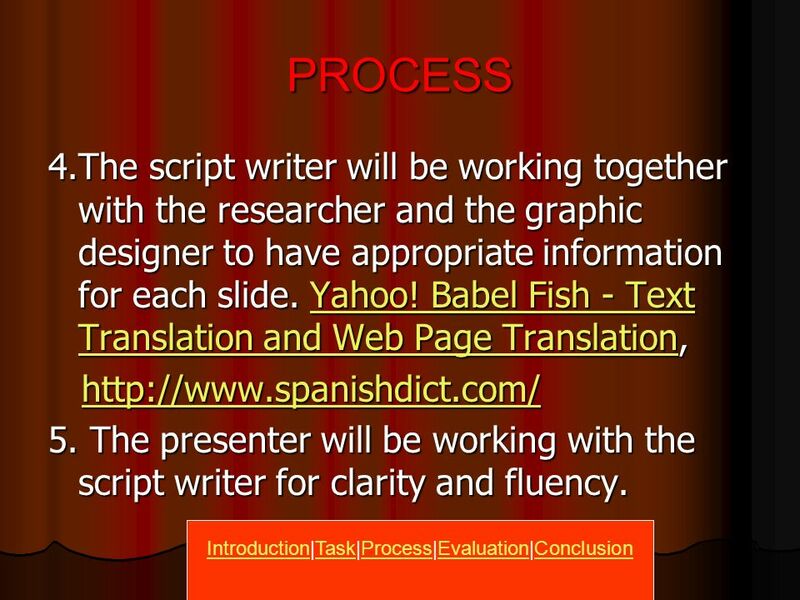 DIRECCIONES: Each slide will contain a picture or a vocabulary word and a subject. In your group, you need to come up with. 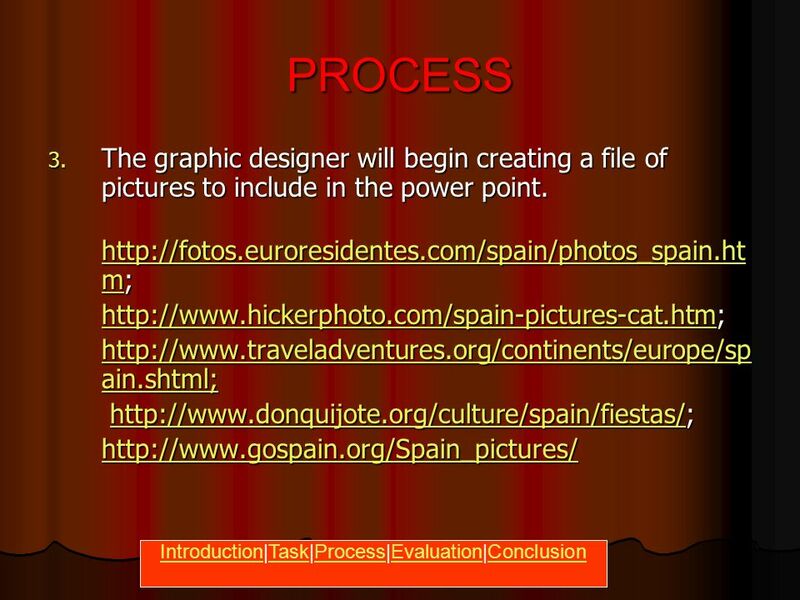 Final Project Instructions Due Mon/Tues, April 11 & 12 Final project should be a power point presentation with photos or a poster with photos/labels. Descriptions. Final Project Instructions Due Friday February 24 Final project should be a power point presentation with photos or a poster with photos/labels. Descriptions. Final Project Instructions Due Tuesday, March 16th Final project should be a power point presentation with photos or a poster with photos/labels. Descriptions.